Joanne Schultz-Bailey, R.D.H., began her career in 1973 as a dental assistant. In 1978 while in Hygiene School, she was asked to join the practice of Dr. Peter E. Dawson and Dr. Pete Roach. 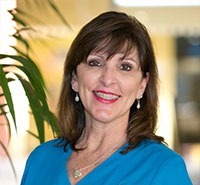 Joanne was a chairside assistant to Dr. Peter Dawson during Hygiene School and then became a Hygienist in his practice.  Ms. Schultz-Bailey has attended Dawson lectures and application courses, and has attended programs for the Dental Hygienist at the Pankey Institute and University of Florida. Her career consists of occlusion/periodontal based dentistry, with a focus on the importance of the whole masticatory system and how it relates to dentistry. She has lectured with Dr. Peter Dawson and has been asked to teach “The Role of the Dental Hygienist in Supporting the Concepts of Complete Dentistry” at the Dawson Academy. Joanne has also lectured in North Carolina, Chicago, Louisiana and Virginia as well as St. Petersburg, FL. Over thirty years later, she continues to work for the same practice, now Daxon Dentistry. 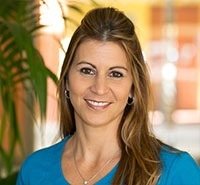 Joanne has been a member of the Florida Dental Hygiene Association. She has a certification from AFFA (Aerobics Fitness Foundation and Association) and has taught for over 20 years in the Aerobic Industry. Joanne is the proud mother of two children, Nicole and Daniel, and is married to Joe Bailey. Her hobbies include running. Joanne has completed three marathons, two which were in New York City…one of her favorite marathon cities! She also enjoys being outdoors, and when not working or running she is spending time with family and friends. Aly was born and raised in the Clearwater/Dunedin area. 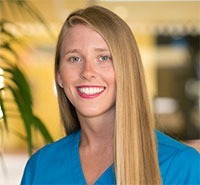 She graduated from St. Petersburg College Dental Hygiene Program and continues her education in the health field by continuing on with her bachelors in Health Services Administration, Information Technology. Aly serves on the Pinellas County Dental Hygienists Association as the treasure and volunteers in the community. She and her husband, Jason, live in Clearwater with their two dogs and are fond of weekend bike rides in the area. They love to travel when they can and although both are good cooks, they enjoy trying new restaurants. Lisa was born in East Haven, CT and moved here to Florida in 1979 with her family at a young age. 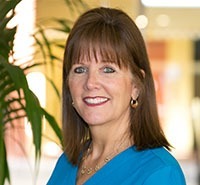 She attended University of Florida, College of Dentistry, Continuing Education in 1994 and received her certification in radiology, fabrication of temporaries and Dental Assisting. Lisa joined the dental practice in 2004. As well as assisting Dr. Kimberley Daxon, Lisa is also on staff with the Dawson Academy in St. Petersburg. Lisa is an active member in her church and community. She enjoys volunteering at her children’s school as well as spending time with both her children and her husband. Her other interests are reading, boating camping and cooking. Patti has been a dental assistant for 30 years. Patti is certified in all aspects of chair-side dental assisting including x-ray, and also a certified Orthodontic assistant, thanks to the University of Florida (Go Gators!). Patti feels amazingly lucky to have worked with Dr. Kimberley Daxon since 2003 and is still learning from her every day. Patti is originally from the East coast of Florida, a small town called Indialantic, which a part of her will always call home. Patti moved to St Petersburg in 1990 where she met and married her husband, Marty. She became an instant mother to his daughter, Brieanne and son, Cory. Three years later they were again blessed with another daughter, Lauren. Patti is a huge Gator and Bucs fan and enjoys going to games when possible. She loves the sun and enjoys any and all activities, as long as she can be outdoors! Patti stays busy with Lauren. Brieanne and Cory are both grown and out of the house. She and Marty are looking forward to growing their family with weddings and grandchildren – but for right now her Granddogs will do!